Hi everyone! I’m going to be trying something a bit different from now on (call it a posterity thing?). Every Friday, I’ll be gathering together my inspirations from the week. Well, at least my top five. I’ll try to cover everything from books I’m reading, to films I’ve watched, podcasts I’ve listened to, or even a funny YouTube video. I’ll try to get a post up every Friday around noon, so my hope is to either spark some discussion or maybe inspire you to check out something new for yourself. I’d love to know what your own inspirations were throughout the week, too. Thanks for checking in - I’m excited to share! This is a wonderful film from Frontline PBS about the history of our presidential candidates. I learned a lot from the film. It really shows you where each of their drive comes from. My co-worker Michael Schmalzried showed me this beautiful short/commercial for Volvo. Probably my new favorite podcast. The Album Club takes classic Rock/Punk albums and dissects them track by track. In this episode, they dive into one of the best Rock albums of all time "Appetite for Destruction"
My church small group just started this book and I love it. 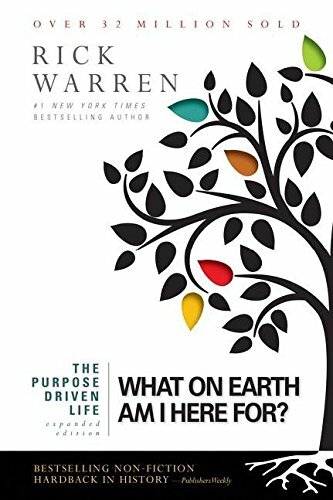 This book is broken up into 40 days, a small chapter each day discussing your purpose. This is a wonderful book everyone should read at least once. A friend of mine turned me on to this guy. Really great old school country.